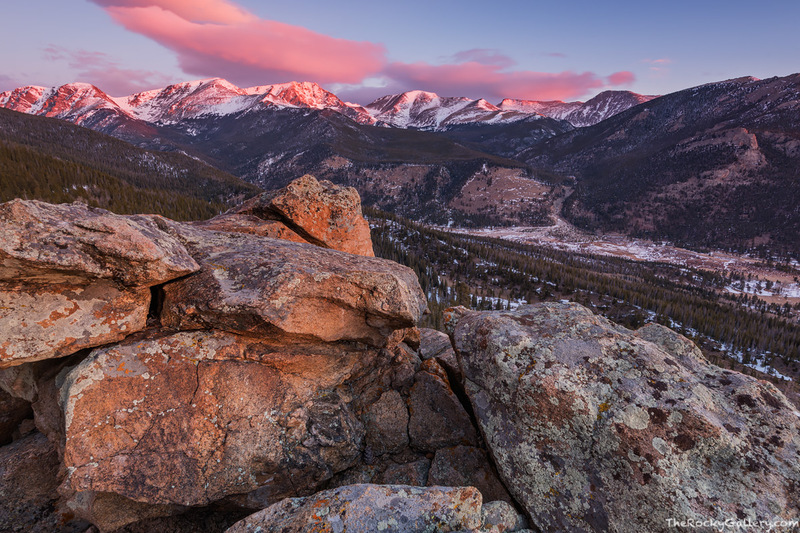 The winds sweep through Horseshoe Park as the early warm light of a February morning in Rocky Mountain National Park illuminates Chapin,Chaquita and Ypsilon Mountain along the Mummy Range. From a perch high above Horseshoe Park one gets a feel for the primal forces that helped to shape Horsehsoe Park as evidence from the Alluvial Fan and Roaring River spilling into Horseshoe Park down below. Photo © copyright by Thomas Mangan.